Exquisite flowers of a soft yellow colour. The blooms start off beautifully cupped, later opening out to form a rosette shape. Each bloom is packed with numerous small petals, arranged around a classic button eye. There is a medium-strong and very pleasant Tea Rose fragrance. A very free flowering variety which repeats well. Charlotte has excellent green foliage and a compact, bushy habit, with even, upright growth. 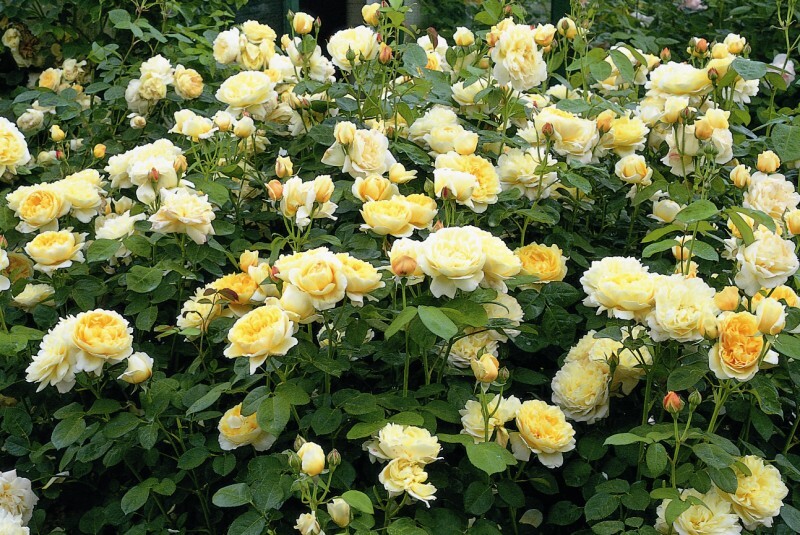 All in all, one of the most beautiful of the yellow English Roses and also, for those with particularly cold winters, one of the hardiest.